7 Items You Should Thrift for Your Home — walk in love. In recent years, I have also come to love that thrifting supports local businesses. T.J. and I are all about our small town of Manheim, PA. We shop at our local farmers market and hardware store, and have worked hard to intentionally keep our growing business (walk in love.) in Manheim. In addition to thrifting, I'd encourage to find ways to support your town -- hire a local guy to fix your front porch, switch to local insurance, or make an effort to attend the next community event that's taking place. You can't have enough of them. Well, at least not enough of the large ones. The bigger ones might be a little harder to find, but when you do, they're usually around $6. Which is a steal compared to the large storage baskets at Target or Home Goods for $35+! 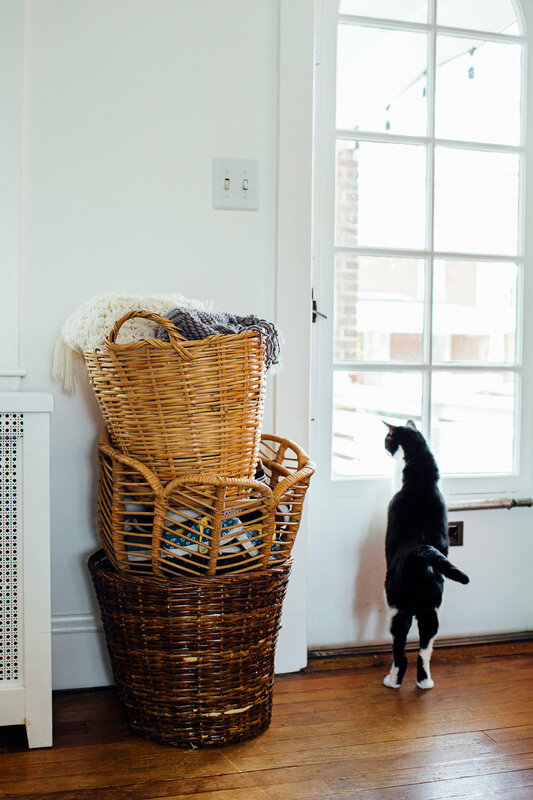 Uses: toy storage, shoe storage, blanket storage, a planter for larger plants, a laundry basket. For all seasons, I find myself reaching into my linen closet, pulling out blanket after blanket, each different in texture, style and color, each adding personality and warmth to our home. Just last month I used one to make a fort for Juneand she played underneath it for hours! Uses: bedspread, picnic blanket, table cloth, fort, or even used as fabric to re-cover something. I recently had to stop buying catch-all dishes because I'd get sucked into "how cute they" are every time, and realized I had no actual storage for my belongings, but instead just cute little dishes to throw everything into. 😹 I no longer have more than one catch-all dish in each room - the perfect about. Uses: above your kitchen sink for coins and jewelry, next to your bed for earrings, bobby pins and spare change, or on your "landing table" (where the mail, etc goes) for keys, thumb drives and restaurant gift cards. Near washer/dryer. 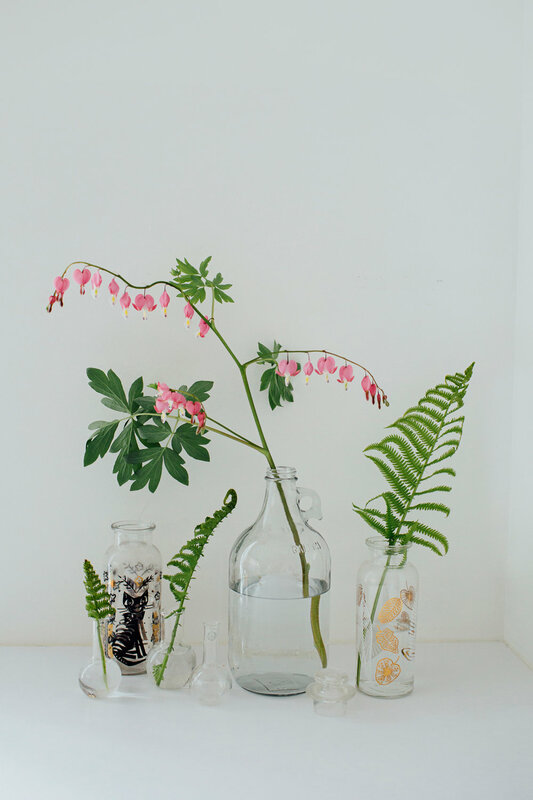 There are two lovely things about glass jars/vases. First, how differently they can be used throughout each season. I have a bunch of glass jars/containers that I've used in our bathroom for years - holding everything from nail polish to our toothbrushes, which was a $10 or less project! My assorted mason jars have held flowers, lightening bugs, drinks, food, and more. Secondly, glass always feels light and timeless. I'd encourage you to gravitate towards clear class, without etching or hand painted designs, as it will work in all areas of your home much easier. I read once that "a home without books is a body without soul." And while I'm not the most avid of readers, I do agree. They have a sense of home, belonging and history to them. The act as visual weight, a way to show your personality, and if nothing else, are a relatively cheap way to fill your bookshelf. You can group books in small piles on your nightstand to add height and visual interest, or pair everything down to only a few in your favorite colors. You can put them on your shelf forwards or backwards, wrap them in paper, or only purchases ones that have beautiful typography on the spines. You can set them on a floating shelf where they forward facing, allowing the book cover to act as wall art. (Perfect for a kid's room!) It's up to you! At least half of the books on the shelf in our living room are from thrift stores. Not to mention all the books you can't see shoved behind the closing doors! For the longest time I was worried that thrifting toys for June would be, in the words of Kelly Kapoor from the Office, "digusto-barfo." However, almost anything can be washed in the dishwasher, washing machine or soaked and set out to sanitize in the sun. I would say that over half of June's toys are from thrift stores. It's allowed me to "test out" toys for much, much cheaper price. Thrifted toys have given me a way to surprise my daughter with something "new" for literally a few dollars or less. Look for: Puzzles, games, educational toys, cars, animals, pull toys, bath toys. Last, but certainly not least, is kitchenware. This is probably my favorite thrifting category. 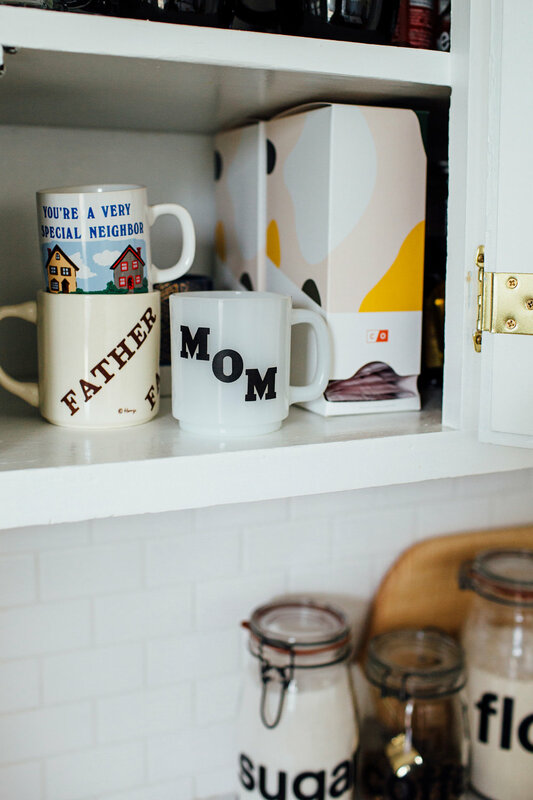 😍 For as much as I love stores like Target, I love even more the personality and history older dishes, canisters, mugs and S&P shakers bring to a kitchen. Mixing old with the new is one of the quickest and most satisfying ways to make your home feel like home. 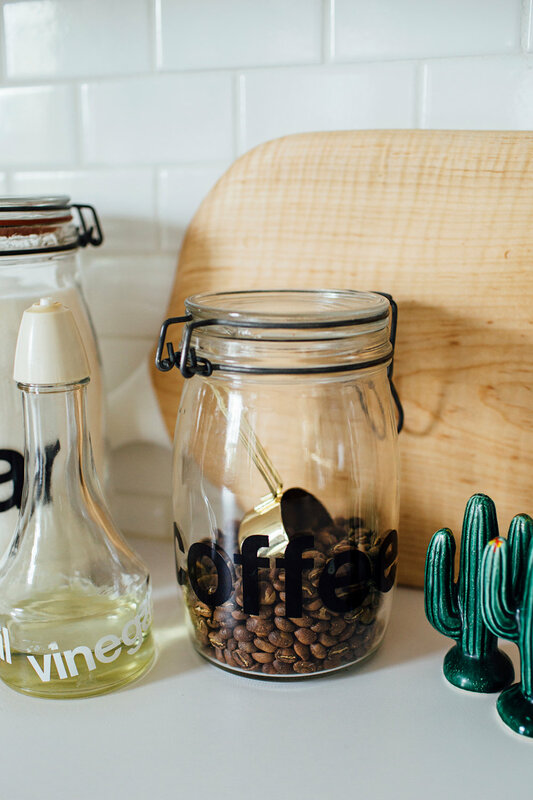 Look for pieces that align with the style of your kitchen and home -- mid century, modern, farmhouse, rustic, etc. And then find a few pieces that make no sense at all but you. love. them. That's what really matters! Look for: flatware, canisters, cheese platter + appetizer trays, coffee mugs that make you smile, cake pans, etc.